As a first-time startup CEO, Vinayak Ranade has taken the old adage “play to your strengths” to heart. That includes tapping into skills and experiences from his childhood growing up in India. Poetry contests in middle school were “an early introduction to how to communicate in a way that engages empathy,” Ranade (pictured above) says. That has come in handy at Drafted, where the six members of the team try to improve their mobile app by better understanding how users experience it. Ranade also gave a lot of speeches in high school. “Who knew that was going to help when I was starting to fundraise?” he says. Ranade also took on a key recruiting role at Kayak—both attracting technical employees and building an internship program basically from scratch, he says. Ranade took Kayak’s “haphazard” intern hiring practices and created an organized program that helped raise the company’s profile on college campuses and brought more excitement to the office, says Kayak co-founder and former chief technology officer Paul English. After leaving Kayak in spring 2014, starting Drafted was “a very obvious choice for me,” Ranade says. It combined two things he’d gotten good at: developing mobile apps and recruiting. Drafted launched a beta version of its app and software platform last May. The product allowed hiring managers to quickly post the details of a job opening at their company, set a reward for filling the position, and then push it to people in their network (and beyond). People who receive a job notification on Drafted can apply or forward it to someone they know, creating a “chain of referrers.” If that ultimately results in a hire, anyone included in that chain splits the company’s referral reward, including the new employee. Many companies already have hiring programs that pay referral rewards, but Drafted can help by handling the logistics of tracking who deserves a cut of the reward and by executing the payments for companies, Ranade says. That’s not easy, and it’s still not clear if Drafted has the right solution. 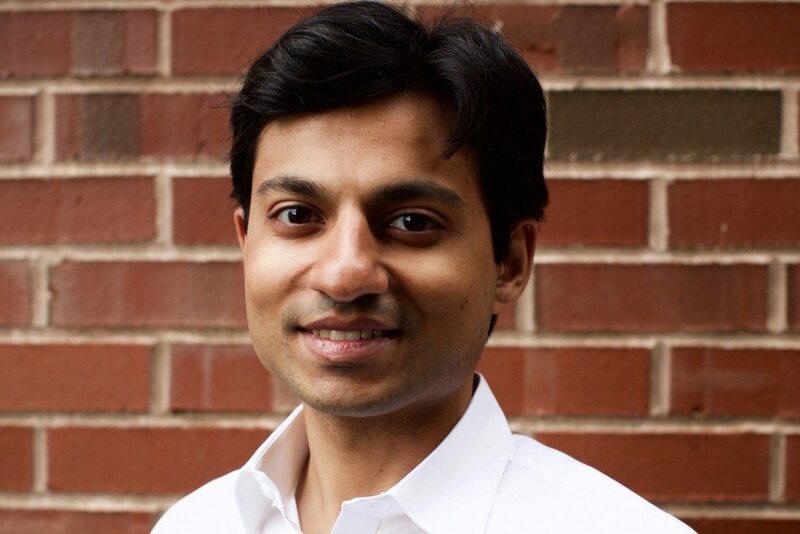 During beta testing, more than 50 companies have posted over 130 jobs on Drafted—mostly Massachusetts tech companies, including Hubspot, Drizly, and Lola—and offered rewards totaling more than $1 million, Ranade says. But he declines to share how many jobs have actually been filled thanks to Drafted. Working in Drafted’s favor is the fact that personal connections often play a big role in snagging a job, and “people want to help their friends out,” English says. The challenge for Drafted is if done poorly, the referral network it’s trying to build could feel “very spammy” and inauthentic if people are “constantly getting barraged by e-mails from all [their] friends all trying to pitch their company,” he says. The first version of Drafted’s product had some success, but “didn’t really scale” as much as hoped, English says. But he says he was impressed with the way Ranade and his team kept at it, spending a lot of time speaking with customers to understand how Drafted could improve.